I find it appalling that people cite the Bible to condone their sin. Just this past week, a story resurfaced on my Twitter feed dating from 2014. An abortion doctor’s wife claimed the Bible supported abortion. I’m not sure which Bible she’s using, but it’s definitely not the Word of God. Of course she failed to point to specific passages of Scripture to back up her claim, as there are none. However, if her bible of choice is the Satanists Bible, maybe she finds there a defense to back up her ideology. Though the Satanic Temple’s website downplays their blood thirst for abortion, King insists killing innocent babies is one of the best ways to garner Lucifer’s favor. Oh, and in this case, it is Scriptural. His name is Moloch. I find myself swallowing back bile as I say, she’s absolutely correct. Those little ones being born to “undocumented citizens” are definitely babies. No one in his or her right mind would debate the issue. Those little ones might also be referred to as “bundles of joy, “little angels” or “gifts from God.” All applicable and appropriate names for these tiny new entrants into the world. So, Hillary does have a heart….kind of. But her humaneness only goes so far. I’ve always considered abortion, murder. Many challenge my position, dubbing the developing life a “clump of tissue.” But when an abortion fails to kill the life of the child and that baby’s born with moving limbs and a beating heart, there’s now no debate. Cutting through the face to extract the brain is no longer harvesting byproducts of a baby ripped limb from limb in the womb, but is now a cold and calculated murder committed to line the pockets of Planned Parenthood. Unfortunately, these same funds funnel back into the campaign coffers of those who champion a woman’s right to choose. 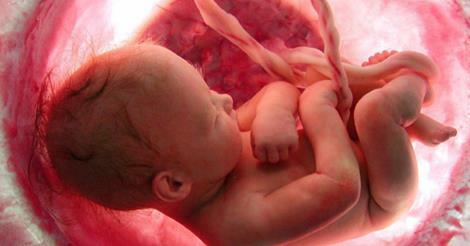 No one deserves the title, ‘Least of These’ more, than the innocent life conceived and developing in the womb. To defend their rights of life, liberty and the pursuit of happiness should be considered an act of great compassion. And the only Party predominantly waging the war to defend those rights is the GOP. Hillary’s empathies diminish when dollar signs are dangled. Hillary might have a bit of a heart, but that’s more than what can be said of the baby whose heart and brain ships to a research lab at Wisconsin University. I hope one day Hillary finds THAT ‘disturbing’ as well. Does America Have a Heart? The Center for Medical Progress released the seventh video installment exposing Planned Parenthood’s barbaric procedures. Each video grows progressively more vile. How anyone with a heart can still support the abortion giant is beyond me. Yesterday, I watched in horror as a former employee of Stem Express shared how she witnessed a procurement tech cut open the face of a born alive baby and extract his brain. I wonder how many really care. Of course pro-life advocates voice loud protests but how many Americans even know what’s going on. If you’re not surfing the internet or watching Fox News, you might think the biggest news of the day is Hillary Clinton joking about a towel and her server. This morning I chatted with a group of men over coffee, and at least one in the group new nothing about the Planned Parenthood videos. It’s a shame that mainstream news media outlets only broadcast stories that benefit their partisan leanings. This morning I scrolled through the ABC, CBS, NBC websites and found nothing on their top stories list about the latest video release. Even Fox News fails to highlight the story on its homepage. On the other hand One News Now lists the Planned Parenthood atrocity as a top story, its headline reading, “Planned Parenthood or Murder Inc.” (How many actually read or even know about this non-partisan agency that truly just reports the news?) The practice of butchering the most innocent in society and selling their organ and body parts has got to be stopped. Are we now no more diabolical than a tribe of cannibals or ISIS? This present holocaust demands we inform people, talking about it around the water cooler, discussing it over dinner, or sharing it with your next door neighbor. Too many people remain in the dark. It seems the mainstream medias fear an overwhelming backlash against Planned Parenthood from viewers who actually have a conscience. Trying to blackout the abortion giant’s practice of harvesting organs even from born alive babies, the media has actually started to cover Hillary’s Clinton’s foibles. In other words, media giants would rather expose their darling candidate to greater scrutiny than protect and defend the lives of babies born alive in abortive procedures. Planned Parenthood’s cozy relationships with Liberals and the Left owned media shield them from an even more vociferous outcry. Planned Parenthood insists federal funding is needed to cater to the needs of low income women. They tout their expertise in sexual education, the distribution of birth control, and cancer screenings. They argue if federal funds are cut, women’s health care will cease to exist. (Here we go again….the imagined Conservatives War on Women…) Of course stalwarts for the abortion provider warn that cutting federal funds will cost Planned Parenthood an arm and a leg. Actually, that applies to the babies aborted there. Does America have a heart? I hope the answer is yes. I hope these videos wake the sleeping and apathetic giant. Our Country’s Declaration of Independence guarantees the rights of “Life, Liberty and the Pursuit of Happiness.” We must stand for those who cannot stand for themselves. Be the watchman! Do Americans have a heart? If we don’t, then we can join the Planned Parenthood Club. In the time you took to read this post, several babies no longer have hearts either. A few days ago, it was brought to my attention that Facebook users are offered 58 gender options. I read through the list with my wife, both of us shaking our heads, giggling at times, marveling at the mass deception being waged against humanity. Genesis plainly teaches that God created two sexes, male and female. In fact, humanity was God’s crowning achievement, creating humanity and only humanity with the opportunity of enjoying a personal relationship with Him. Obviously over the past several thousand years, the Devil has wormed his way into the minds of some, sewing seeds of confusion about gender. No one who understands spiritual warfare and Satan’s tactics doubts the turmoil suffered by an individual who is gender confused, but in no terms should a man (gender confused or not) be allowed to utilize a public restroom reserved for women only. And now, there’s Target. The retail giant has jumped on the political correctness parade. Target has just announced that it will start phasing out gender-based signage in some of their kids’ departments. The bedding department will no longer feature boys’ and girls’ comforters and the toy aisles will no longer feature backdrops of pink and blue. An Ohio mom praised Target for its decision, calling the “color coded” divisions in toys “regressive and harmful.” With this mentality, soon, gender reveals will be considered harmful to the baby in the womb. Maybe everyone can just celebrate the pending arrival with an “It” Shower. We definitely need to pray for those who struggle with gender identity issues, but we also need to stand firm on the truths presented in the Word of God. God created “male and female,” end of story. For those who believe otherwise, a great deception has clouded their ability to perceive the truth. If Genesis fails to meet your criteria for facts, take a moment and re-watch “Kindergarten Cop.” A young boy addresses the debate about gender with a priceless explanation about male and female plumbing. If his Kindergarten teacher, played by Arnold Schwarzenegger, had corrected the young fellow, insisting there were 58 genders, the boy would’ve looked at the man with disbelief….probably laughing as well. No, Arnold, there aren’t 58 genders. There are only 2. 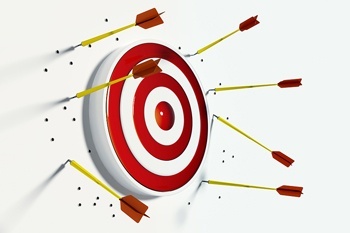 Oh, and Target…You missed the bulls-eye. Lifenews.com posted breaking news today on social media. Both Facebook and Twitter heralded that Indiana Governor Mike Pence signed a bill mandating aborted babies be buried or cremated. The Indiana Governor deemed the measure necessary as a response to Planned Parenthood’s business of selling aborted babies and baby parts to medical research companies. A step in the right direction, the Bill addresses the issue of disposing of the baby’s lifeless body with dignity; it fails to stop the holocaust. Every American needs to be informed about the videos posted by the Center for Medical Progress. 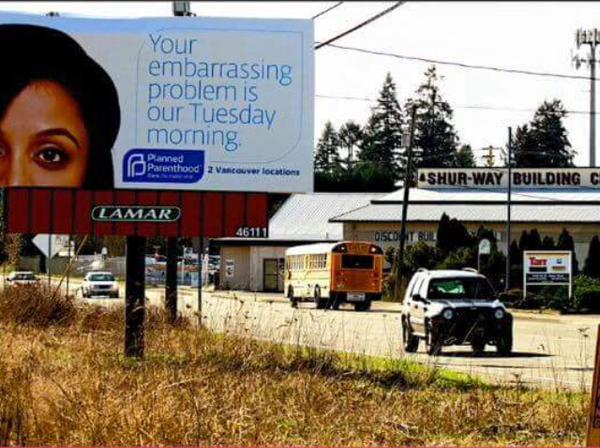 In fact, it’s high time the pro-choice segment of our Country is challenged to watch the undercover exposes’ and then decide if standing for Planned Parenthood truly mirrors their morals and ideologies. So far, 12 states have responded to videos by initiating investigations into the practices of the abortion giant. Three states have decided to cut funds to Planned Parenthood until their procedures are thoroughly vetted. Of course, some stand by Planned Parenthood through “hell or high water.” Out of political expediency, Hillary Clinton claims the attempts to cease funding Planned Parenthood on the federal level is a continuance of the Republican’s Party “war on women.” She fails to note the Left’s war on babies. Thanks to the efforts of the Center for Medical Research, maybe America’s conscience has been stirred enough to support stricter abortion regulations. Maybe one day Conservative judges will sit on the Supreme Court and revisit Roe versus Wade. Maybe one day the landmark decision responsible for the slaughter of 55 million Americans will be overturned. The President believes harvesting organs harkens back to an age of “ignorance.” He further stated that harvesting for ritualistic purposes was a “cruel” and “crazy” practice. Apparently, the President ignores the complete and utter hypocrisy of his response. One can’t help comparing the abominable practice in Kenya to the atrocities perpetuated by Planned Parenthood. Each group harvests organs from the innocent. Each group profits from the felonious sale of body parts. One group steals for ritualistic ceremony, the other to appease the demons of hell, though they insist it’s for “medical research.” Both groups share the crime of heinous acts against humanity. When asked if the President has watched the Planned Parenthood videos, White House Press Secretary responded that viewing the videos wasn’t likely on the President’s schedule. And that’s understandable. Golfing, vacationing, and lighting up the White House like a rainbow eat up most of the President’s time. Certainly most side with the President’s comments on the treatment of Albinos in his father’s homeland. However, many in America are now waking to the holocaust being perpetuated in America at the rate of 3,000 babies per day. If polled, a significant portion of Americans would urge the President to spend a few minutes watching the callousness and brutality of Planned Parenthood. Even in between holes, the President could watch a video…he owns a pen and a phone. Americans know the President adheres to a hectic itinerary, however, addressing partial birth abortion for the sole purpose of protecting and harvesting valuable organs might be something worth adding to his schedule. On second thought…golfing can wait.